The restaurant experts at Open Table are taking on judging duties for this year's contest. What are they looking out for? Lisa Hasen, vice president APAC at Open Table, chats to foodService about what makes an award-worthy dish. Why did OpenTable want to be involved with judging the Dish of the Year contest? We wanted to be involved because we love to celebrate the chefs and kitchens that make dining out such a special experience. We are often moved when we hear the 'back stories' behind dishes that our restaurants serve. The pride and care that goes into sourcing quality ingredients and developing unique and inspired cuisine fuels our industry. The ‘paddock to plate’ approach to food in Australia is something that dining cultures across the world look up to. We can’t wait to see (and taste!) this year’s entries. Why is it important to celebrate the simple things being done well in the industry (i.e. burgers and pizzas rather than fine dining)? Doing things simpler can often be harder than doing something more complicated. Simple food speaks for itself – there is nowhere to hide. It requires a great level of attention and care and we think that is something to celebrate. What will you be looking for when you are tasting the dishes? Many things make a dish memorable. To me, the freshness and quality of ingredients is key. Dishes that are simple in composition but have complex flavours always stand out. There needs to be a layer of uniqueness to the dish, for example in the way it looks or how the flavours come together. Presentation is obviously a big part of the dining experience too – how it smells and how you feel when you’re tasting it are both important criteria. What have you noticed about burgers and consumer interest in them over the past year? Burgers are one of the most perfect dishes – they’re simple, delicious and always satisfying. What has changed over the past few years is that chefs and kitchens are taking a more creative license over the classic burger and creating really unique tastes, ways of serving and presenting them. This has inspired a new wave of interest from a broader segment of diners. I don’t think there is anyone straying too far from the traditional recipe though – you can’t go wrong with meat, cheese and veg! Why are pizzas always so popular? Pizzas are very similar to burgers in that they are simple, they are usually guaranteed to be delicious and you are always satisfied after eating a slice… or two. Much like burgers, pizzas also present opportunities for chefs to add a unique twist. They can be enhanced and improved and there are limitless options in regards to toppings, sauces and presentation. 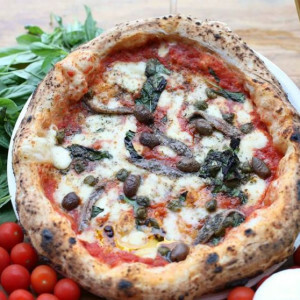 Pizzas are loved across the globe – there isn’t a culture that doesn’t have its own take on the traditional pizza recipe! 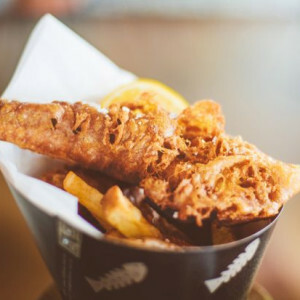 What makes a really good fish and chips? 4. The tartare sauce – nothing beats a tartare sauce that has the right mix of flavour profiles. When it comes to a breakfast roll, have you noticed cafes are using less traditional fillings? I have lived in many different countries across the globe and there is nothing in the world quite like Australia’s breakfast scene and café culture. 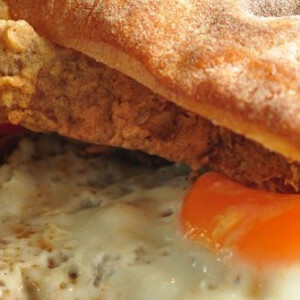 There are all different kinds of eggs, all different kinds of meats and countless choices when it comes to the more traditional dishes like the bacon and egg roll. What I have noticed recently is that while the traditional dishes are still available, there are a number of different ways the dishes are being enhanced to keep diners guessing – simple additions like avocado, tomato and mushrooms, and more creative additions where cafés have taken influences from Asia and India to add spices and herbs. The ‘paddock to plate’ approach is also something that is rising in popularity – informing diners where the food has come from and why the quality of the ingredients is so important. Why is it good for chefs to think creatively with these 'casual' dishes? Thinking more creatively with ‘casual’ dishes is an opportunity for chefs and restaurateurs to enhance their menu and surprise and delight their diners. Where there is a recipe that is traditional, that is proven to work and that is proven to please diners, you don’t have much to lose by putting your own personal spin on it. In fact, you have a lot to gain by working with the classics – you might just create something really unique that you become famous for. What makes a great brekkie roll? Why are awards and contests good for the food industry? There are so many cafes and restaurants out there doing amazing things and creating wonderful, high quality, unique and delicious food. The reality is, many cafes and restaurants don’t always have the means to market themselves to the masses. Awards and contests like this create a platform for Australians to find these little gems and to experience their food. It’s great for the diner and it’s great for the diversification and success of the industry too. Any message to people entering the contest? It takes courage to enter an awards program like this – to put yourself and your creations out there. Thank you to those who have entered the contest because your ambition, your passion and dedication to the incredible food you create is inspiring. Open Table is the official partner of Dish of the Year 2016. Entries are now closed, with representatives of Open Table conducting the judging over the next month. Winners to be revealed in the July issue of foodService.